Mayrilou is a 2016 Sunreef Yacht with an award-winning layout that is akin to a superyacht. 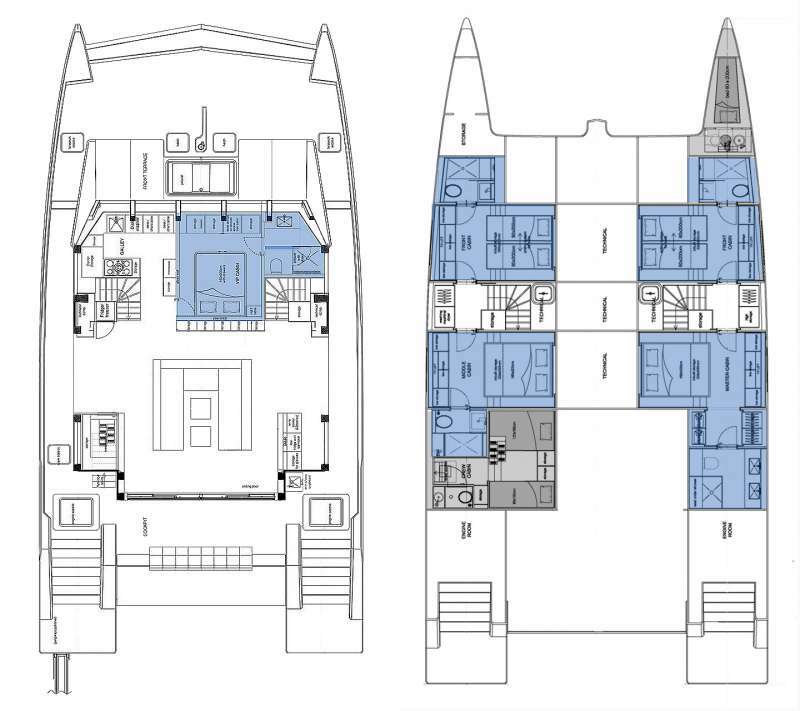 This 68ft yacht offers over 3,000 square feet of living space in a new radical shape allowing to keep the saloon and exterior deck on the same level. The main room is expansive and with floor to ceiling glass windows it seamlessly transitions to the exterior. Relax and dine in the 360 degree views of the Caribbean. Access the cockpit through folding doors on both sides of the yacht and an aft garage with a door creating a beach platform after opening. To complete her assets list, the yacht is offering also sophisticated technical equipment and large variety of water activities. With her 3 dedicated crew members, there is no doubt all is combining to assure exceptional time aboard Mayrilou! Contact us for rates and current availability or to book a charter aboard Mayrilou! Other In the saloon, Radio MP3, LCD TV & DVD equipped with ANDROID & AIRPLAY systems working with Bluetooth.